Suffused with amusing, some pros, and several adventurous vignettes, Ban in Five Countries is a poetry anthology that is divided into three sections. These sections comprise pieces designed as oral interpretation tools. Several pieces in this collection are sonnets and adhere to that structure. Though several foul words are injected randomly within the pages of this book, they are purposely done to pry open the awareness of the readers while introducing different characters. A eulogy to a self-destructive civilization on the downhill side of history, this book is woven to make anyone angry, laugh, and above all, touch their hearts. Readers can learn many things from the pieces of this collection. 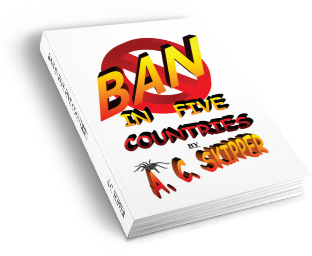 Ban in Five Countries will not only amuse, it will also inspire its readers about life and many other subjects.